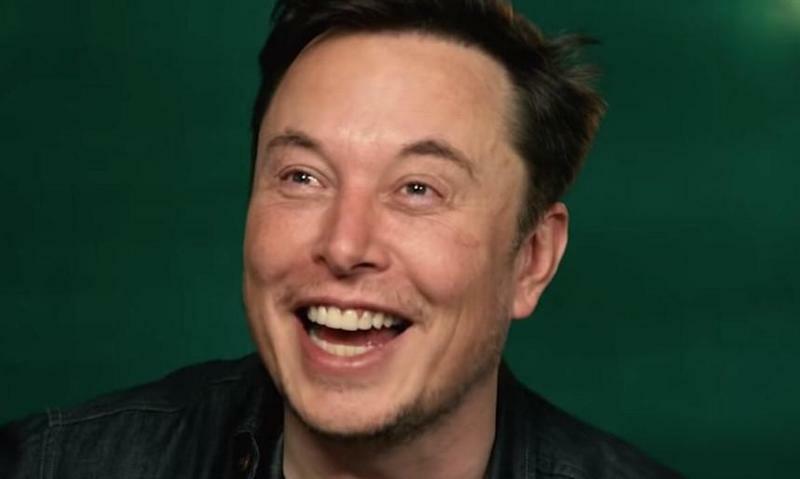 Those following the saga of whether or not Elon Musk will be held in contempt of court have a new date to look forward to: April 4th. 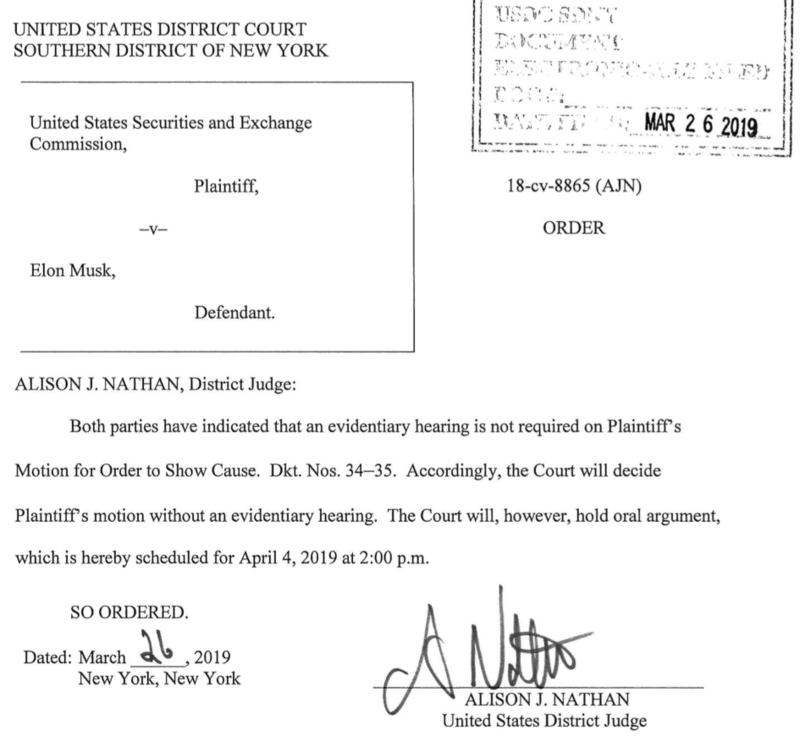 That's the date that U.S. federal judge Alison Nathan scheduled a hearing for oral arguments in the SEC's lawsuit against Musk. Specifically, she will hear arguments on from both sides on why Musk should - or should not - be held in contempt of court. After a written back and forth on the motion, where the SEC clearly had the upper hand, both parties subsequently informed the court that they were not requesting an evidentiary hearing. There is also speculation that the judge may want the oral argument to inquire with the parties about potential remedies for the situation, which the SEC had left at the behest of the judge. Two weeks ago, the Securities and Exchange Commission responded to Elon Musk's "contempt" defense, shredding Musk's arguments and making it clear that the regulatory agency will not back down in its attempt to get Musk held in contempt of court following a February tweet regarding Tesla's production guidance. Twitter seems ready for the show.